How about a map pack for noobz to DL? Great Event turn out dudes! and anyone else i may have left out!! Thank you too, sir GoodDay. And everyone else of course. 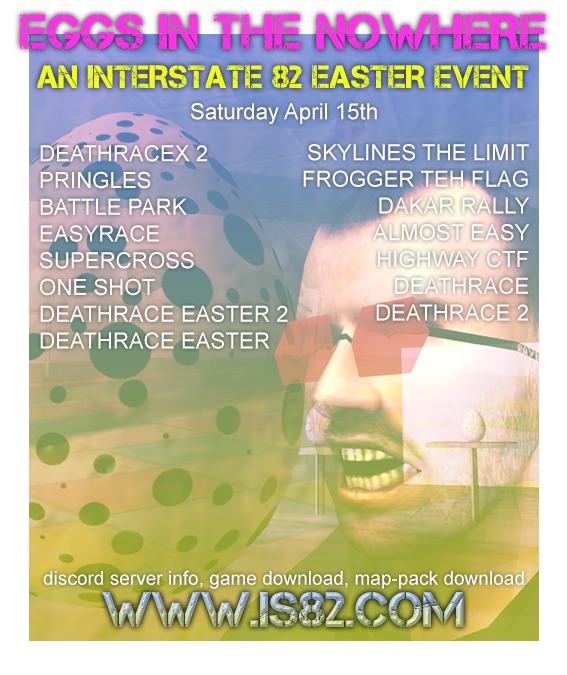 Deathrace II Easter was hella fun again. Huehue!